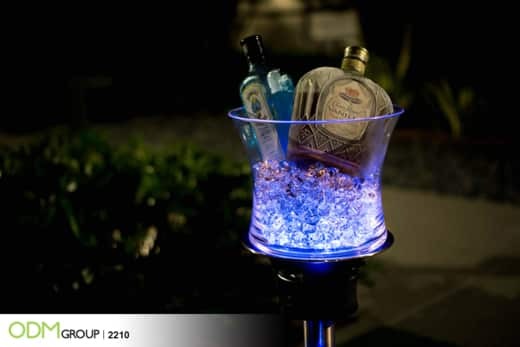 The Charging station design is the perfect promotional product for any individual or business as it is a drink stand cooler with bucket, LED lights, and a charging unit in the stand capable of charging up to four devices at once. This product is perfect for both personal and business use, making it the ideal gadget for all. 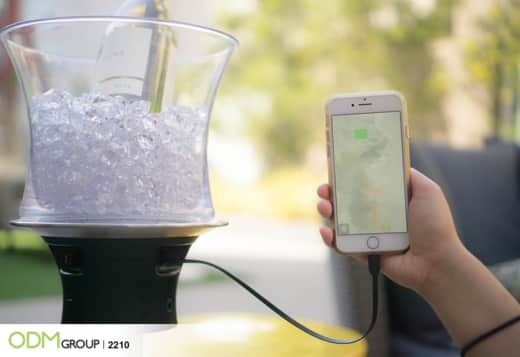 It’s a unique product that combines aspects of a wine cooler, phone charger, and a beach table into one without lacking in build quality. This device has high power efficiency as it can charge multiple devices at once and a powerful internal power bank capable of charging for weeks. Built in retractable charging cords means no mess is left behind from multiple cables or multiple devices being used at once. Safe to use as its made of stainless steel making it a highly durable product and most importantly waterproof so no danger having or spilling liquids. 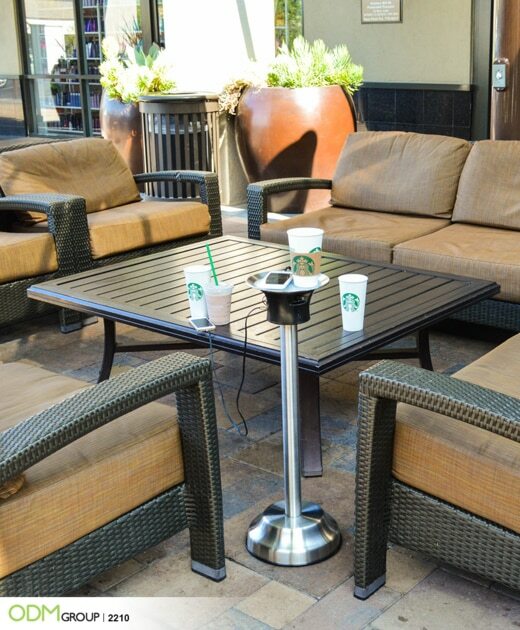 Perfect for parties and business events such as meetings and parties. 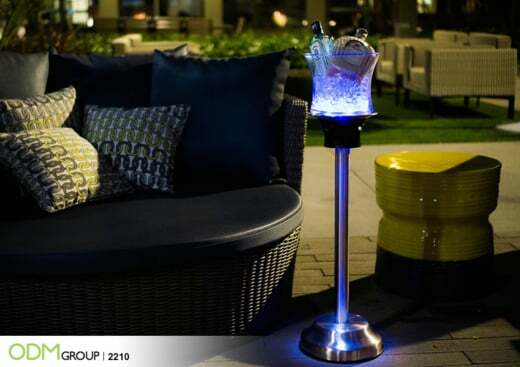 Aesthetically a beautiful product, with LED lights creating a wonderful atmosphere, meaning, it can light up any room. Highly versatile as marketers can use them in a variety of ways within a marketing campaign. It’s ideal as a high end company giveaway, prize for online contests or a complimentary gift for techies. Ability to customize this personalized promotional product in any way, from the clients logo, print, and color, making it a more personalized product. Check out our blogs for more promotional chargers and custom charging docks designs. Email us with questions regarding the design and manufacturing process. Depending on the complexity of the design and availability of materials, there can be lots of design and sample revisions before we achieve the best outcome. If you are interested please don’t hesitate to contact ODM, as we have the necessary resources to ensure that your vision becomes a reality. For reference the product code for this wonderful piece is 2210. This wooden promotional charging dock is perfect for office, reception area, and home use. It’s customizable and very practical. Get your brand to be noticed with these new promotional chargers! Wireless charging pads are all the rage today. Why not take advantage of its popularity and use it for your own promotions?